Several recent studies linked increased levels of a metabolic product of dietary choline with higher risk of cardiovascular disease (CVD) (Wang et al., 2011; Tang et al., 2013) through a mechanism that involved gut microbiota-produced trimethylamine oxide (TMAO). 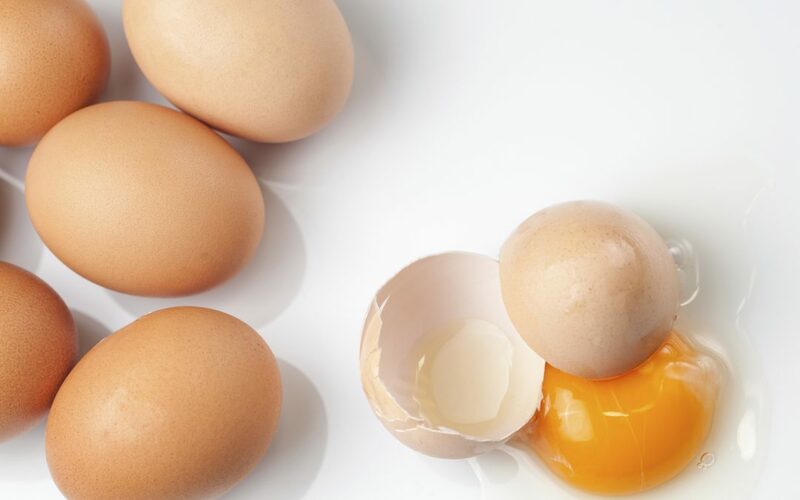 These studies have sparked considerable scientific (and non-scientific) discussion, with health advice from some groups suggesting avoidance of meat and eggs (significant sources of choline) and from others suggesting that the findings have been vastly overinterpreted. What they did: A recent publication from Katie Meyer, Sc.D., along with other researchers at UNC Chapel Hill and three other institutions, adds new data to this ongoing controversy. Meyer et al. asked whether plasma TMAO levels were predictive of CVD risk in initially asymptomatic young adults (mean age 40) over a ten-year follow-up. This is an important question because the original three-year study involved an older population (mean age 63) that was already at high risk for CVD. The Meyer cohort, therefore, would be better able to discern early events associated with CVD risk. Meyer et al. measured TMAO in plasma collected from 817 individuals between 2000-2001 as part of a large, long-term NIH-funded study of the evolution of cardiovascular disease risk over adulthood (Coronary Artery Risk Development in Young Adults, CARDIA). These levels were then analyzed against several markers of CVD risk that had been collected at zero-, five-, and ten-year follow-ups. Importantly, Meyer found no association of plasma TMAO with any of the CVD risk markers studied, which included coronary artery calcium incidence and progression, carotid intima-medial thickness, insulin resistance, inflammatory markers, and plasma lipid levels. What it means: Compared to the initial studies, the CARDIA cohort from Meyer’s study was younger, overall had lower TMAO levels (plasma TMAO increases with age), and was taking fewer medications for hypertension, diabetes, and cholesterol. Notably, the cohort used by Tang et al. was drawn from patients already hospitalized for diagnostic cardiac catheterization (i.e., those suspected of, or at high risk for, heart disease), while the cohort used by Meyer et al. were those healthy enough to participate for at least ten years. Thus, this study is not directly in conflict with previous studies, but rather emphasizes that the observed association between TMAO and CVD risk is dependent on a number of factors, likely including age, microbiome status, and general health. Importantly, though, this study suggests that TMAO is not involved in advancing early-stage atherosclerosis.